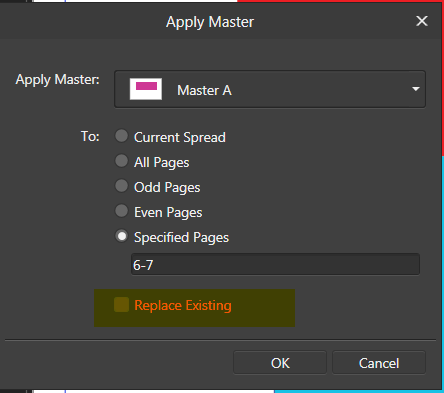 After creating the 42nd master page I wanted to assign a master page to this master page (this worked without problems for the previous master pages) - but know if I left click on the master page, the menu is shown and if I select "Apply master...", the menu stays open and no further interaction with Affinity Publisher is possible. It's no problem to assign a master page to an normal page. I would be happy to provide the document if it helps to solve the issue. If you need more information please don't hesitate to contact me. 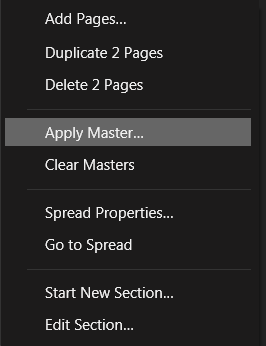 Do you try with the "Apply Master" popup menu on the page you want to add a Master page and uncheck the Replace Existing. For me it's working as expected. 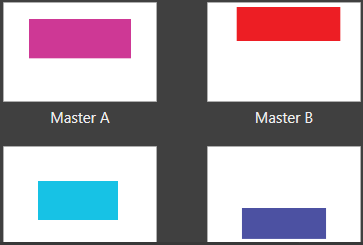 @Typo998 I want to assign a master to a master page - your screenshot shows applyng a master page to a "normal" page. Appling a master page to a master page worked for the document many times - the problem does not occure with a new document but only with my rather big one. Same for the Apply Master to Master, you need to uncheck the "Replace Existing" check mark. Hope that will help you, if not maybe you can attach a file. @Typo998 - Sorry - this does not help - Affinity Publisher hangs before opening the "Apply Master" dialog (reproducable with my big document). So no more user interaction is possible , the dialog is never shown. @Chris_K Thanks for your reply. I've uploaded a text file containing a link to the document (file size is more 2GB) - Note that the file has already been downloaded by "Jon P" for the topic "Crash when scrolling". Problem can still be reproduced with Affinity Publisher 1.7.0.221 on Windows 10, wil test on Windows 7 on Monday. @Chris_K could you reproduce the problem or do you need more information?